High output designed for complete coverage of a large area. 12" (30cm) Mirror/Glitter Ball and rotator motor. Designed to enhance lighting effects and produce complex coloured displays, disco glitter balls are made to create glamorous drama and transform bland spaces into exciting venues. 18" (45cm) Mirror/Glitter Ball and rotator motor. 24" (60cm) Mirror/Glitter Ball and rotator motor. Plug-and-play, easy to use hazer suitable for DJ's, smaller venues, bars, clubs etc. 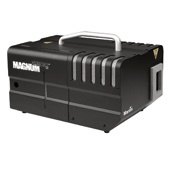 Features a large 3.8l onboard haze fluid container and is capable of generating a uniform canvas of haze. 2500m3/min fog output using Martin pro haze water based fluid. Rubber cable and floor protector tiles 50CM x 50CM with 2 channels of integral cable trap/duct. 6KVA/4.8KW 110V/230V single phase generator set.